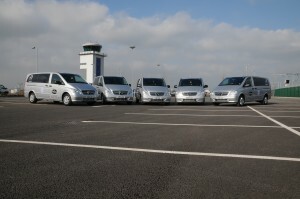 In September 2011, London Southend Airport announced from March 2012 that Andrews Taxis would be the official Airport partner, providing Taxi and Private Hire vehicles for their passengers. Cabsupermarket were proud to put together the deal and in turn supplied a fleet of Mercedes Vito Traveliner’s, which were registered in March 2012. The Traveliner’s supplied included full air conditioning with leatherette upholstery,privacy glass for that executive transfer feel. Andrews Taxis, was established over 65 years ago and has grown to become one of Southend & Rochfords premier providers of personal transport. Among its customer base are Essex County Council, Southend Borough Council, RBS and Keymed Olympus. Cabsupermarket offer fleet terms to the taxi and private hire trades. If you have a similar requirement no matter what the size, we can help. If your an owner driver, no problem, we have the best Vito deals your money can buy. Call cabsupermarket on 0800 566 8998 or contact us via email.